It’s still not fully operational yet. 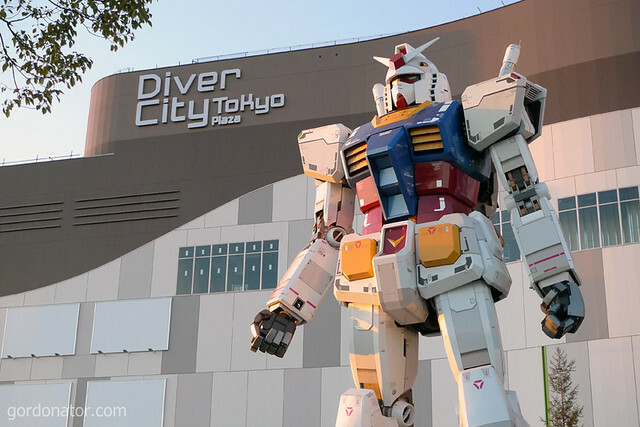 The ground around the Gundam is still under renovation. And there is not lights shining onto it at night so will suggest going in the day or it will be hard to find in the dark. 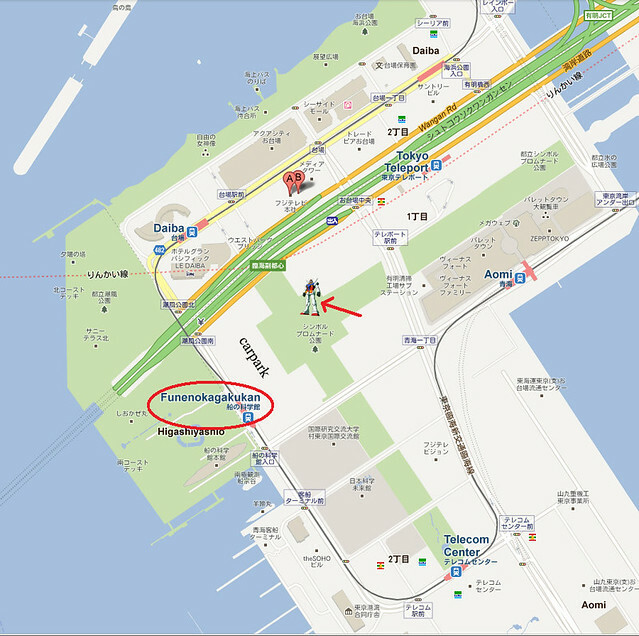 So it is in Odaiba but where is it exactly located? I wasn’t there in 2009 when it was first up on display but judging from pics around the web taken years ago, I would say it’s at a different location. Maybe somewhere near the original spot I don’t know. 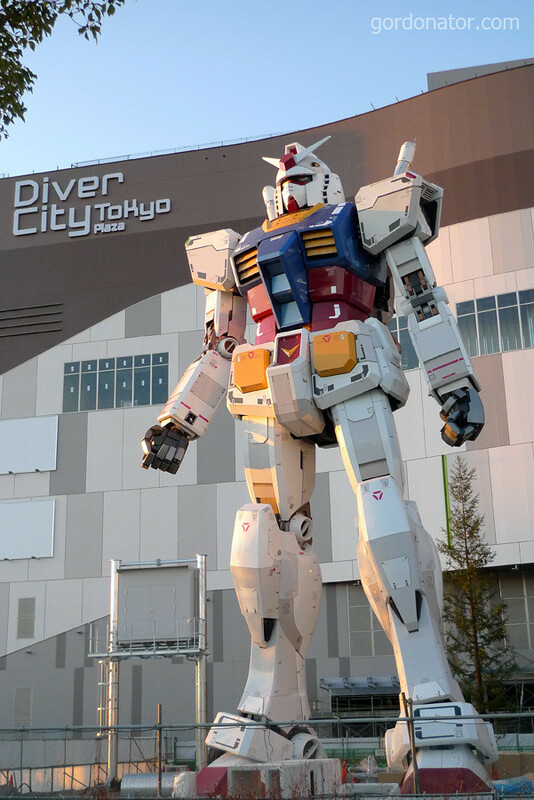 But anyway as of right now, it is located as you can see from the first 2 photos, Diver City Plaza. The building looks to be a mall but is still under construction. The nearest train station is the Fune-no-kagakukan station (船の科学館駅) on the Yurikamome line. The easier way to get on the train is to transfer at JR Shimbashi station. Below is a map of the area. Click for higher res. Once you alight at Fune-no-kagakukan station, you will see a huge car park at one side. It’s hard to miss. 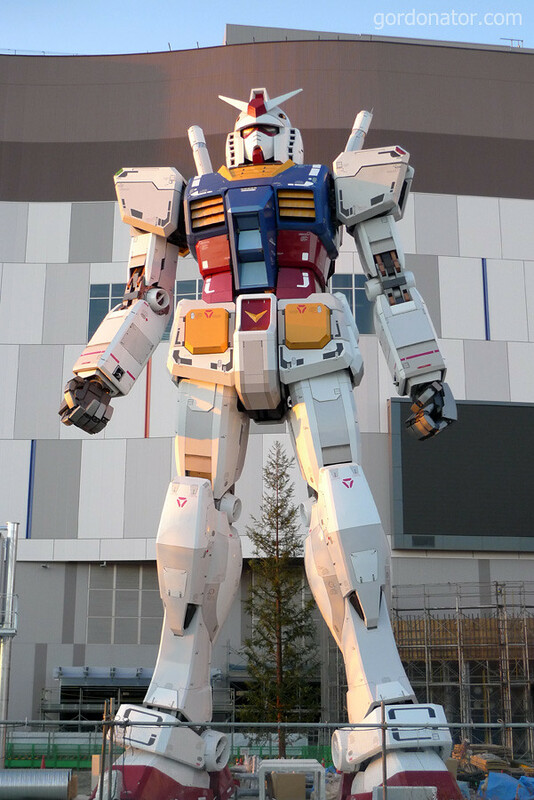 Walk in that direction and after getting out of the carpark you should be able to see the Gundam already. This entry was posted in Japan2011. Bookmark the permalink. Previous one was a shiokaze park. Secretzone is right; the Gundam in 2009 was standing pretty much where the tree symbol is on the Google Map northwest of where you have circled. 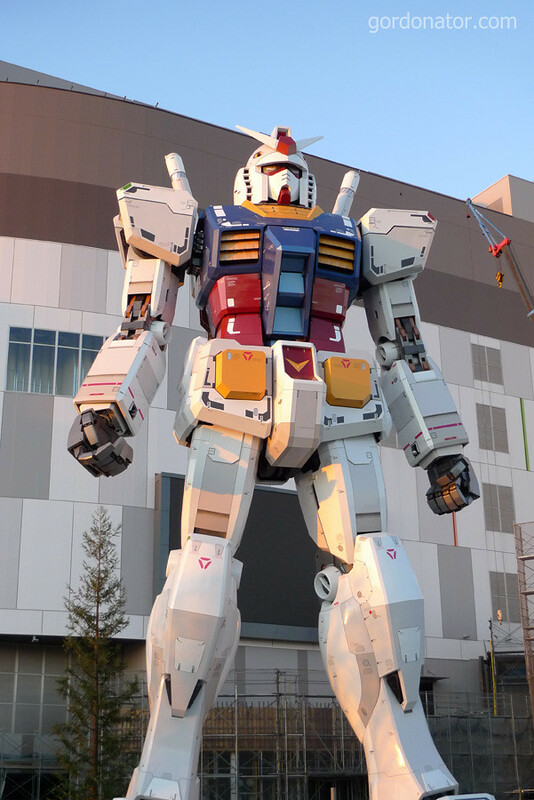 It’s good to see the Gundam coming back in its full form once again. I wonder how long it will stay this time though.